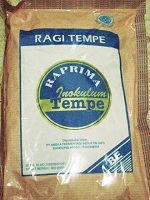 1 Package Rice Wine Starter contains 20 Gr. 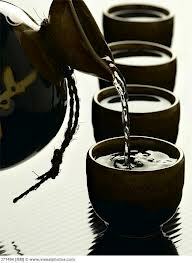 Rice Wine is relatively low in alcohol and can be drunk neat or used in hot dishes, marinades and glazes. Rice wine typically has a higher alcohol content, 18 – 25 percent ABV, than grape wine (9 – 16), which in turn has a higher alcohol content than beer (usually 4 - 6). 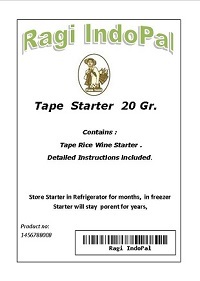 Our Rice Wine Yeast Starter is of the highest quality, and represents the original taste of Tape rice wine. 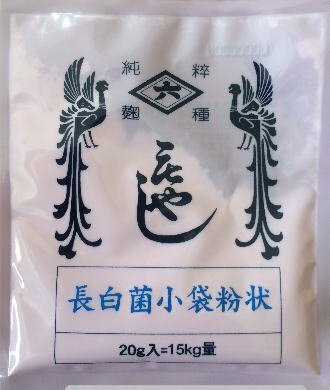 We provide you with detailed instructions how to make this delicious rice wine, in order to enjoy many bottles of this fine product.